1928 FORD OWNERS INSTRUCTION & OPERATING MANUAL - GUIDE - CAR & TRUCK Model T ford. 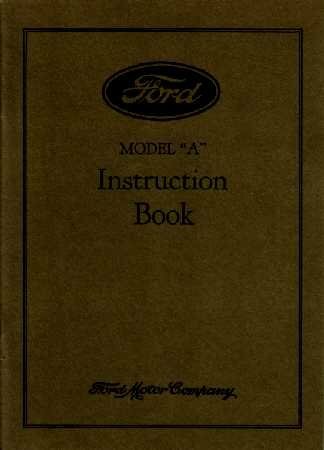 "Ford Model 'A' Instruction Book" This is a quality reproduction of the manual that was issued with all Model A cars from the factory. You will find specifications and license data, instructions for operation and care, lubricating, cooling, fuel system, electrical system, running gear, wheels & tires, brakes, shocks, speedometer, and points of maintenance for cars, pickups and the Ford Model AA 1 ½ Ton Truck. Includes diagrammed cutaway illustrations and a summary of engine troubles and their causes. This is a licensed reproduction of the manual that was copyrighted 1928. 50 pages-NEW condition! Buy now to own the best manual for your vehicle.